The task force was created as a result of HB 193, a bill in the Louisiana House that called for a task force to reexamine the SWB and its management apparatus amid the deafening cries for reform. The bill was sponsored by a Republican, Rep. Stephanie Hilferty, and passed with bipartisan support—the resolution was adopted 70-0 in May of this year. The task force consists of a representative from the Mayor’s office, Councilman Jay Banks (representing the City Council Public Works Committee), Ghassan Korban of the SWB, and a representative from the Louisiana Engineering Society, the Business Council of New Orleans, and New Orleans & Company. The Task Force must give their recommendations for the SWB to the New Orleans City Council no later than January 31, 2019. The two neighborhoods that the Task Force has visited thus far were two of the worst affected by the flooding last year. The Task Force also hosted a talk by the Philadelphia Water; Philadelphia Water now has a progressive rate system that fixes water rates to household income, where the household is living at 150 percent or less of the federal poverty level. Philadelphia has also committed to an ambitious, multi-billion dollar green infrastructure plan. Some of the issues the Sewerage and Water Task Force has highlighted are funding, communication/coordination, equity and ecological issues. Drainage and drinking water are separate funds within the SWB, and while the drinking water side is “financially stable,” drainage is underfunded and facing looming debt obligations in the millions of dollars. Drainage is funded by property owners, in inequitable rates. Meanwhile, drainage is partially run by the city (which handles catchbasins) and partially by the SWB (which manages the pumps). At the same time, the Urban Water Plan (which outlines ecologically sound ways for the city to “live with water”) has no entity ultimately responsible for implementing its goals. Thus far, the Task Force has been meeting and studying the options for restructuring, which could potentially result in a recommendation to dissolve the current leadership structure (the eleven-member board), as well as make the board function differently than today—creating a separate stormwater agency, for instance, that would operate separately from the drinking water part of the agency. The reader will note that privatization options are absent. Tyler Antrup, the Urban Water Program Manager, explained at the neighborhood presentation that this is due to not only deep unpopularity and suspicion of privatization (privatization would need the voters of Orleans Parish’s approval, which it would almost certainly not get), but also because the SWB is deep in debt and disrepair. It is simply not marketable to a private company. Additionally, Antrup points out that privatization intrinsically introduces a need for profitability in the utility. This would mean almost certainly mean rate hikes—and New Orleans is already in the middle of a ten percent rate hike—and not necessarily better service. However, Antrup outlined potential benefits to some of the remaining options. A stormwater utility could allow lots to be charged for drainage based on size, and could also allow for grants and tax breaks for homeowners to add stormwater management upgrades to their homes, like rain gardens. A public benefit corporation may allow for certain refinancing options not currently available to the SWB, and there are examples of this model working well to provide good service to customers. Public meetings often fall into two categories—empty meetings, and yelling meetings. Church rezoning meetings are empty. Meetings to dump relatively high-rise condos into the Bywater are yelling meetings. And Sewerage and Water Board meetings, unsurprisingly, fall roughly into the yelling side of things. The purpose of the task force is to address the structure of the SWB, not address current on-the-ground failings of the utility. However, that did not stop residents from voicing their displeasure with the state of the utility. Some attendees wanted to talk about leaks near their homes and other issues with SWB service. At both meetings, attendees were urged, progressively more sternly as the hour went on, to submit questions on comment cards, which are preserved in the public record and are reviewed by the task force. 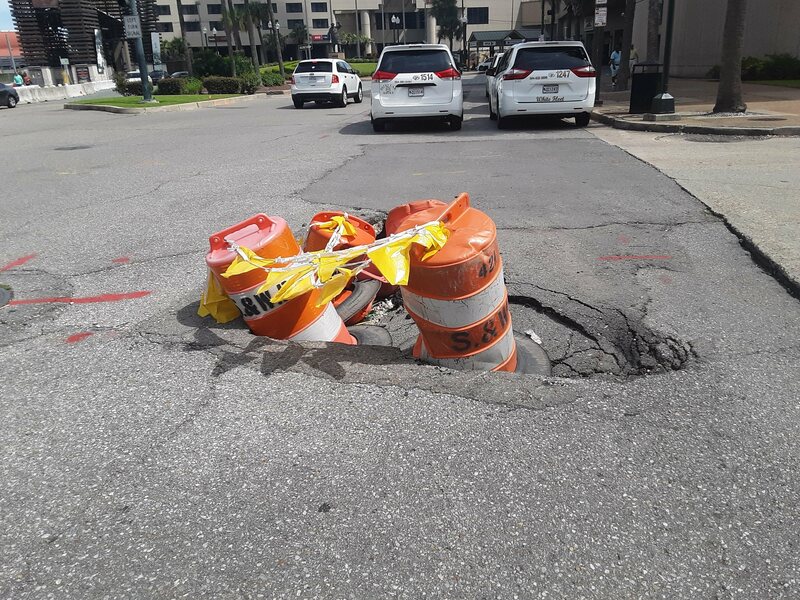 At both the Mid-City and Central-City meetings, attendees brought up the subject of the labor that the SWB has contracted out, which raises the specter of corruption. Residents raised concerns that contractors have “undue influence” on the SWB. Another attendee contrasted the prioritization of basic water services with projects that affect the French Quarter—which frequently go over-budget. Very clear piece. I look forward to more of Baum’s writing. Wonderful journalism. Keep the articles coming Jesse.